Account-based marketing (ABM) has become a popular approach for us B2B marketers because it allows us to look at the bigger picture and pursue leads with the most potential. Instead of pursuing every opportunity that comes your way, account-based marketing enables you to efficiently engage and nurture a relationship with the various decision makers within an organization. So how does this approach exactly impact your marketing efforts? To start, dealing with all stakeholders at once lets you better assess the needs of a company and successfully sell your product. Nurturing the company as a whole also allows you to hand off leads to sales that are more well-informed across the board about the value you bring to the table, making it more likely for them to convert. Need more proof to back up these claims? Around 84% of businesses using ABM claim that it delivers a higher ROI, so the numbers are there to show it works. 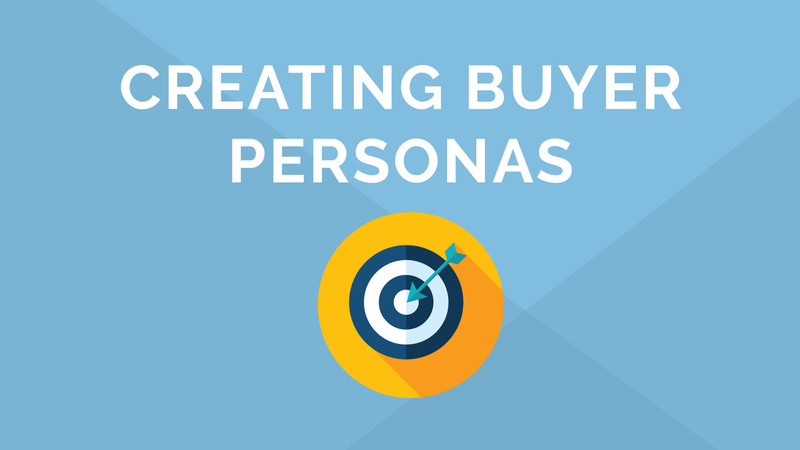 Focusing on accounts versus individuals allows you to narrow down your focus when it comes to approaching new leads. But you can take this approach up a notch, and ensure that you’re as efficient and effective as possible with your efforts by focusing on your ideal customer. Before you launch your ABM campaign, take a moment to think about who that customer is. Consider factors such as possible ROI, overall fit and potential to grow with you in the future. Doing this will help you ensure that you’re investing time engaging and nurturing accounts that will convert into customers, as well as improve your ability to retain them as such from year to year. One thing to remember in account-based marketing is that you’re still dealing with a variety of decision makers. In fact, the average buying committee consists of up to 7 to 20 individuals. While you don’t have to engage with them all at once, you need to keep in mind how and when to approach each person participating in the process throughout the sales cycle. When creating your ABM nurturing campaign, think about when each key stakeholder will be involved in the decision making process. And, since some individuals involved in the buying process may have different priorities, thinking of who’s involved and when will also help you come up with an appropriate cadence so that your message doesn’t get lost due to poor timing. Speaking of delivering the right message at the right time, having a clear content strategy is crucial to account-based marketing success. Not everybody has the same pain points or the same way of consuming information, so your content shouldn’t be a catchall just because you’re dealing with an account. When deciding what type of content you want to push out, think of who needs what information and when. What is the best way for each of the individuals involved to consume this information individually and collectively? This approach will not only make your outreach efforts much more impactful, it will help you plan and schedule out your workload as well. Implementing tools and resources that allow you to easily launch your campaign is crucial to ABM marketing success. The right tool will help you capture insights and data on your customers, and make setting up your campaigns much more effortless. All this will improve the personalization of your ABM campaign, so you can deliver the right message to the right people at the right time. Integrating that information with your CRM will help you keep track of these insights in a way that enables your team to take action. Not only that, it will also make the handoff to sales much more seamless, equipping them with the information they need to seal the deal when the time comes. Your sales reps will be able to see which individuals within account have looked at certain pages, performed a certain action, or searched for specific keywords, so they’ll be informed as possible when interacting with decision makers. Speaking of having the right martech stack, if you’re not already automating your efforts, you should definitely start. Whether you’re using social, email or landing pages, marketing automation can eliminate some of the tedious work that goes into implementing and executing your ABM campaigns. Not only will marketing automation save you time in launching your ABM marketing strategy, features such as trigger emails and automated email campaigns will help you stay on top of communications with your customers. Doing so will enable you to ensure that you’re continuously engaging and nurturing a relationship with them as they navigate the sales funnel. Many of us who have worked in the B2B realm for a while know that sales cycles can be pretty lengthy. That’s why it’s important to measure the success of your account-based marketing efforts along the way to determine how you’re doing as you work toward your ultimate goal. One way to measure success is by implementing KPIs throughout the sales cycle. Look at analytics such as email open rates, click thrus, page views and form fills, just to name a few. These numbers will help you see where your efforts are successful and where they are just falling flat. Having these insights will allow you to adjust your work as your leads move through the sales funnel, so you can reel them back in if needed. Take your efforts up a level by setting up a lead scoring system to get a better view of how all individuals within an account are engaging. Implementing a lead scoring system for your accounts, whether they are leads or current customers, will help you evaluate areas of opportunity as well as flag any concerns that might require the attention of your team. Account-based marketing shouldn’t stop at the first point of conversion. One of the advantages of dealing with an account is that there are more opportunities to expand your relationship. Since you’re looking at various individuals within a company, you have a better grasp of the type of pain points being dealt with across an entire organization. Use this information to make your case when the time comes to encourage current customers to upgrade or add new services. This will help both improve your retention rate, and enable you to get the most ROI from your existing customers.